Wedge Grips – Testometric Co. Ltd.
Testometric’s range of pre-tightening wedge grip are designed in such a way that only a low initial clamp force is required. 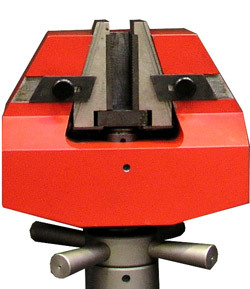 The main clamping force is then supplied automatically by the wedge action. Jaw faces are easily interchangeable; they are manufactured from specialised hardened steel with saw tooth serrations. Vee faces are available for round specimens. Grips are available with capacities from 5 to 600kN. 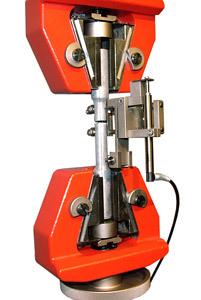 They are ideal for testing rigid materials such as reinforced plastics and metals.